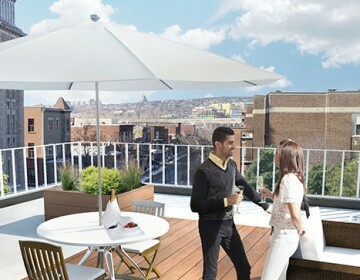 Located near downtown Montreal, Condos Monk offer 1 to 3 bedrooms units and a shared rooftop terrace. Walking distance to Monk and Jolicoeur metro stations. Only a few units still available for immediate occupation! Condos Monk in Côte Saint-Paul, right in the heart of Montreal’s South-West district. A neighborhood undergoing a dynamic revitalization! Condos are 100% sold . Thank you to all our clients. Condos Monk, located in the South-West district in Côte Saint-Paul, offers a peaceful living environment close to the city. 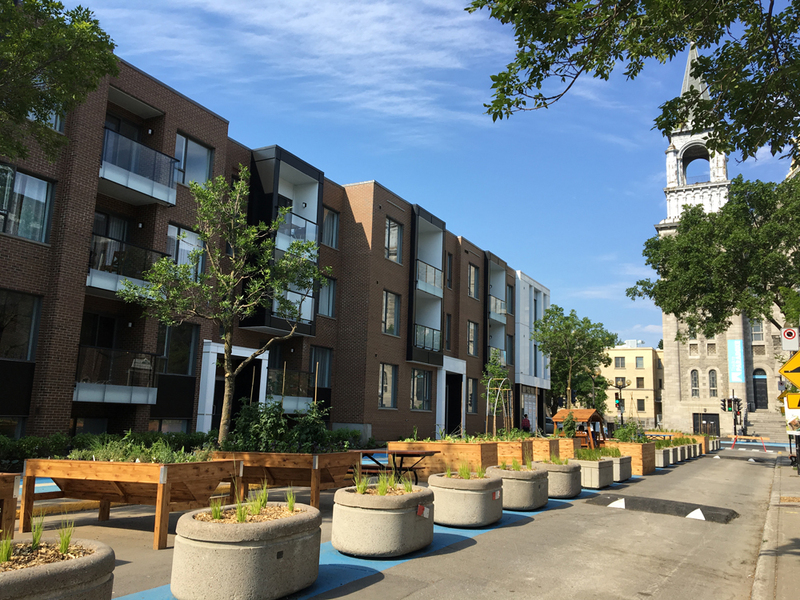 A short stroll is all it takes to fall for the charm of this up-and-coming neighbourhood; calm residential streets, the beauty of the nearby Lachine Canal as well as quaint bistros and shops await you. Near the water and the heart of the city, Condos Monk is a 10 minute walk to both Jolicoeur and Monk metro stations, allowing for quick transportation to downtown Montreal. This 31-unit project offers a wide range of 1 to 4 bedroom condos. Inspired by contemporary architecture, this quality construction is divided into condos ranging from 561 to 1404 sq. ft, where you’ll find a perfect harmony of aesthetics, functionality and comfort. This complex was designed to make your life easier and more pleasant: concrete floors, secured storage spaces, a sprinkler system and a shared rooftop terrace with views of downtown Montreal, the perfect place to unwind after a day’s work.